The PAINTAREA component is a container holding inner components. Each component is arranged by explicit x,y,width,height definition. In addition you can draw lines. 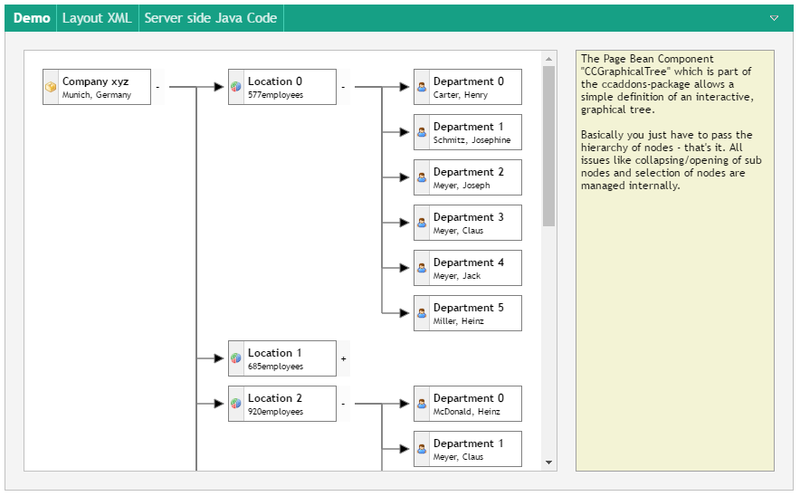 It is an excellent environment for creating interactive diagrams. Of course you may also create diagrams by e.g. using SVG content or Canvas-based content. But: the level of integration of the PAINTAREA is the key! – Any CaptainCasa component can be directly used as item within the PAINTAREA, so you can directly place buttons / fields / grids / popup menus etc. into the content area, without any changes compared to the “normal” way of adding them to dialogs.